MewnBase is a space cat survival and base building game developed by Cairn4. It is about wandering around a barren planet, finding resources and surviving. Scavenge around for items to keep you fed. 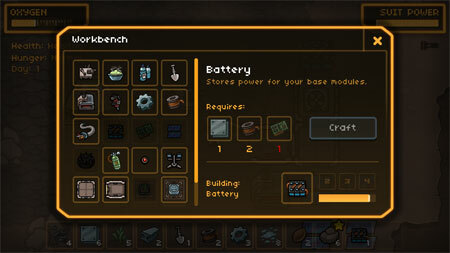 Build up your base with new modules to replenish your suit power and oxygen. Explore a randomly generated planet. Collect resources and carry them in your inventory. Craft new tools and items. Discover and research strange artifacts. Expand your base by building more habitat modules. Manage your base’s power and air supply. If you get stuck in the game, check out the video walkthrough and gameplay for the game. This entry was posted in PC Games, Walkthrough and tagged MewnBase Cheats, MewnBase Game, MewnBase Gameplay, MewnBase Guide, MewnBase Hints, MewnBase Review, MewnBase Solutions, MewnBase Strategy, MewnBase Tips, MewnBase Walkthrough by Marvin. Bookmark the permalink.